Target just released a bunch of new coupons today-99 of them!!! Remember, these can be stacked with manufacturer’s coupons for even more savings. Head on over HERE to start printing. Go HERE to request a sample of Thomas Blend Gourmet Coffee. Sign up HERE to receive a free sample packets of Ideal Sweetener plus a mini-pouch of brown and confectionery Ideal Sweetener. Today and Tomorrow only New York & Company is offering $50 of any $100 purchase! Just use coupon code: 6095 to get the deal! Just an FYI..its almost the end of the month, meaning coupons.com and similar sites will be pulling coupons and listing new ones. Print the ones that you want now, as they may be gone soon! You can expect THREE coupon inserts in Sunday's paper. One from SmartSource, Redplum and P&G. Inserts and coupons do vary by region. You can find a detailed list of coupons in the inserts HERE. 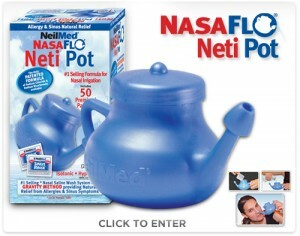 Neti Pot is again offering a FREE NeilMed NasaFlo Neti Pot with two packets. All you have to do is "like" them on Facebook and then click on the “Free Neti Pot” tab and then click on the top link that states, “Click here for FREE NeilMed Neti Pot”! You’ll then be redirected to a new page where you’ll have to fill out a form to request this awesome freebie! Neti Pot has offered these several times and it does come! Hurry, to claim yours! Go HERE to request Tom's of Maine Wicked Fresh toothpaste. What do you do with your free samples? If you are a frequent reader, you know I love samples! Gotta love trying something out before buying, right? Anywho, what happens after you receive your samples in the mail? Are they used right away? Put aside and forgotten about? Or do they sit in your mail pile for a while? If its a substantial or full size freebie, I've been known to use them for stocking stuffers for the hubby. We've received a bunch of full size razors, which make great stocking stuffers. A few weeks ago we got the Fisher Price Trio car in the mail, which will be a stocking stuffer for my son. They are great for travel and we grab them when we travel or go camping. Great space saver. Give them away. If you don't think you will use it, why not give it to someone else to try? Its easy to add samples to a food pantry donation. We use all the freebies. Isn't that the point? I found a cute little basket at the dollar store and it holds all the random assortment of toiletries that we have received. I can see what we have and nothing goes to waste. Plus its fun to dig through and find a new surprise. 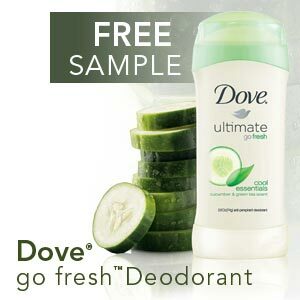 Go HERE to request a sample of Dove Go Fresh Deodorant. You do NOT need to be a Costco member to receive the sample. Today only use coupon code OUTER50 to get 50% off one outerwear item. You can also get free shipping on orders over $50 with coupon code ONSUPER50. You can also print out a coupon to use in store HERE. 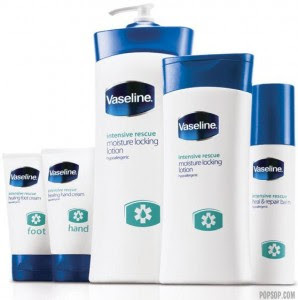 Go HERE to request a sample of Vaseline Intensive Rescue lotion. *While supplies last – up to 1 million. Limit one sample per household, must be 18 years of age or older to qualify. 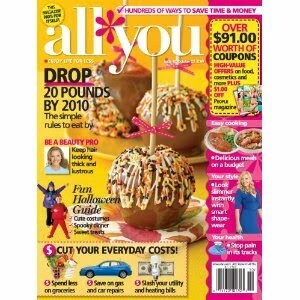 All You Magazine $14.95 per year! LOVE THIS MAGAZINE! Its the only one I will pay for and right now its at the lowest price ever...$14.95 for a full year. 50% off! 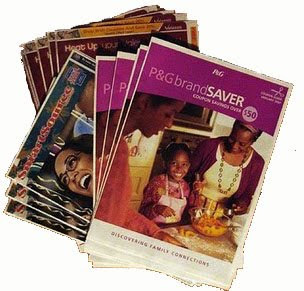 Each issue is jammed packed with coupons and the articles contain useful information. Love every single issue. Anyway, go HERE to see the Amazon deal. 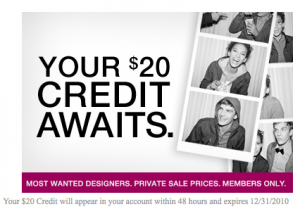 Right now if you sign up for RueLaLa, they are offering a $20 credit to your account. RueLaLa is a daily deal site with designer clothing, makeup, shoes, home decor and accessories. Sign up for RueLaLa HERE. The $20 credit will be credited to your account within 48 hours. The credit is good until 12/31/10 so you don’t have to order today. Keep an eye out for a great Christmas gift deal! The credit can be applied towards shipping as well! Go HERE to like Food Should Taste Good chips on facebook. Go to the free bag tab to claim yours. Coupon will be mailed in a few weeks for a free full size bag! Gosh I love Rite Aid. 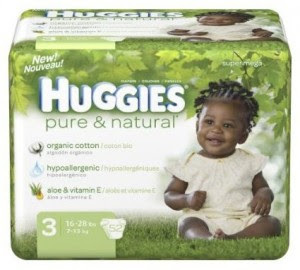 Here is another cheap diaper deal scenario for Huggies Pure and Natural. 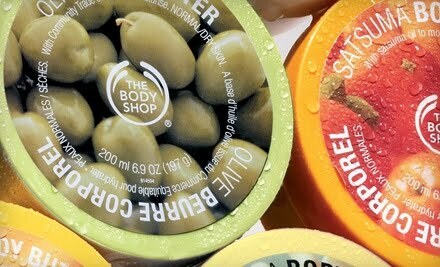 Groupon has another great deal today: $20 for $40 of merchandise at the Body Shop. On top of this, you can use it on sale items! Great coupon to use to stock up on Christmas gifts for teachers, etc. Go HERE to get the Groupon. Also, check out Livingsocial.com (just like Groupon) for a 50% off deal on Cookies By Design. If you signed up for the FREE $20 Rue La La credit, then you’ll be excited to know that you can score a completely FREE Lip color, eye shadow or blush set. Simply go to RueLaLa.com and go to the Boutiques tab and then in the drop down menu choose the first option Sunday Night Styleathon. 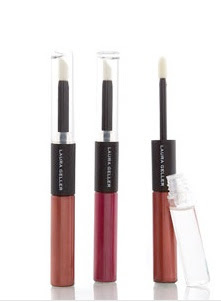 Now click on Laura Geller and you’ll see a couple eye, lip and blush sets priced at just $9.90. Use the $20 credit to purchase the set and pay for shipping. If you haven't signed up for Rue La La, go HERE to sign up and get your credit. Make sure and check out the Parade Magazine in today's newspaper. KFC is offering a free doublicious sandwich with drink purchase. Coupon good until 12/5. Winner of the Old El Paso Giveaway and gift card. 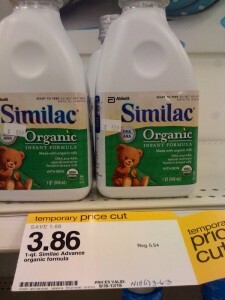 Target has Similac Ready to Feed formula on price cut for $3.86. 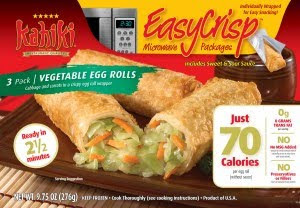 Use the $2/1 coupon All You Magazine Sept.
Go HERE to watch the short video on Kahiki food. After the video, fill out your information and they will mail you a coupon for a free full size frozen food product. Tacos are such a fast, thrifty and yummy meal idea, especially when its a busy night and you have to come up with something quick. Why not turn a taco dinner into "Family Taco Night" and enjoy family time as well? Old El Paso has all the fixins' you need to pull off a great dinner at a great price. Visit Old El Paso HERE for news and great tips, recipes and more. Also get a $.60/2 coupon HERE. One lucky winner will win an Old El Paso “Family Taco Night” prize pack which includes a packet of Old El Paso Taco Seasoning, a Cactus Chip & Dip Serving dish, a set of 3 Fiesta Chili Pepper serving dishes and a $10 gift card to purchase your taco fixings. 1) Leave a comment stating how you would make “Family Taco Night” a special occasion? 2) For an additional entry, leave another seperate comment if you are or became a follower of this blog. 3) For another additional entry, tell a friend about this blog. Or post about this giveaway on your blog, facebook, twitter, etc. Spread the word! The coupon, information, and prize package for this giveaway are all provided by Old El Paso through MyBlogSpark. Whitefence.com will search out the best deals in your area for phone service, internet, television, gas and electric. Its a good starting point and reference if you want to switch providers. 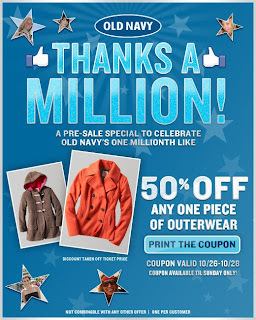 Old Navy has reached 1 million facebook fans and to celebrate they are offering 50% off one outerware item. 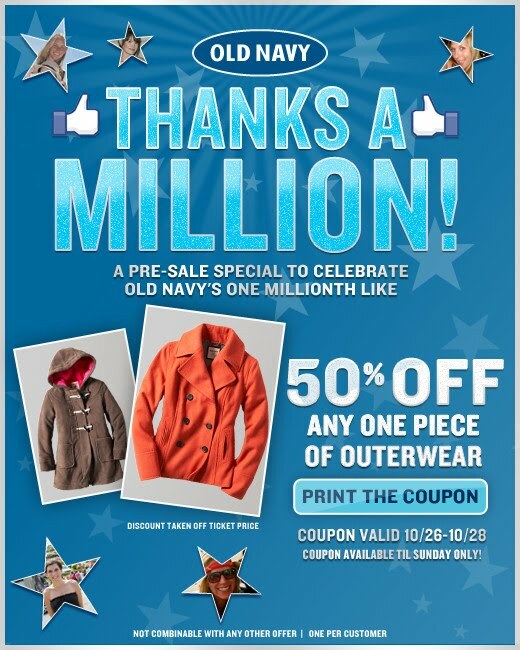 Go HERE to like them and print the coupon or use coupon code outer50 for online purchases. Coupon valid 10/26-10/28. Meijer has Al Fresco Chicken Sausage on sale for $3 each (regular price $5). 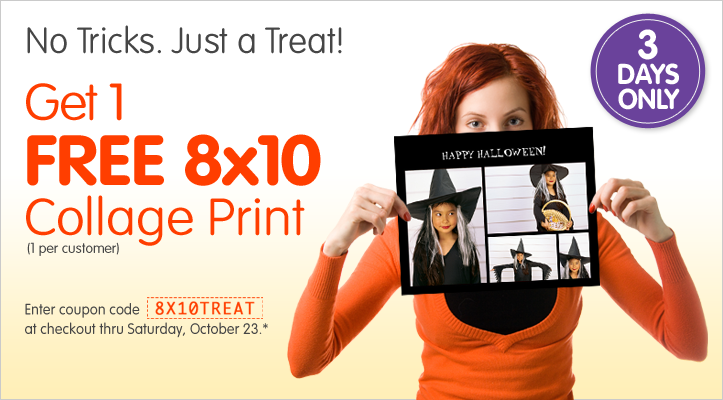 Walgreens.com is offering a free 8X10 collage print when you use 8X10TREAT at checkout. Pick up at your local Walgreens. Coupon code is good until Saturday October 23. ***Haven't signed up yet? 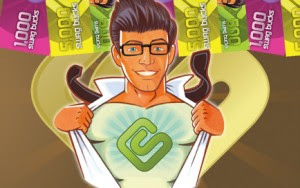 *** Swagbucks if offering 60 points just by registering. Sign up by Friday and put in code SBTVisOnTheAir to start out with a bunch of bucks. This is an unadvertised deal at Meijer this week, so please price check. Confirmed that the Jenison Meijer was ringing up at $1.99. The 6 pack (double roll) of Quilted Northern is 50% off($3.99), $1.99. Just a reminder that the Cottenelle Moist Wipes freebie is still available. I received the coupon in the mail last week and its good for a full size tub of wipes. Go HERE to request yours. Go HERE to print out a coupon for Buy One, Get One Free at Biggby. Offer valid TODAY only. Here is another sweet deal from Amazon and Parents magazine. 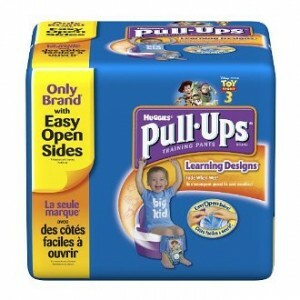 Currently you can score 52 Pull Ups for $10 shipped. Regular price $29.99, a $20 savings! -Make sure you are signed up for the free Amazon Mom program HERE (this will give you 30% off select baby items plus free 2-day shipping). -Add the 20% coupon code from the November issue of Parents and Parenting the Early Years magazine to get another 20% off making your total around $10 for a package of diapers. -Once your order ships, just go into your Amazon account and cancel your subscription and you won’t be billed or receive another shipment. Savings Addiction is reporting that Smartsource just released a $1/1 Pomopeian Olive oil coupon today. Pair this coupon with the $2/1 Meijer Mealbox coupon, the 50%off sale and the Pompeian.com coupon and you end up with 4 bottles of oil for FREE!!! 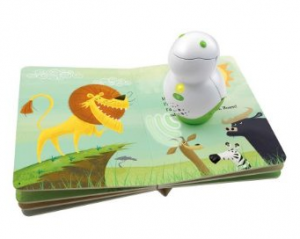 Target.com has the LeapFrog Tag Junior Book Pal on price cut. It is marked down to only $10 (down from $29.99)!!! This is online only and includes FREE shipping. These will be arriving in about 2-4 weeks. Plus, Target has there tags books for sale for $10 each in store. Use the $5 coupon HERE and score the books for $5.